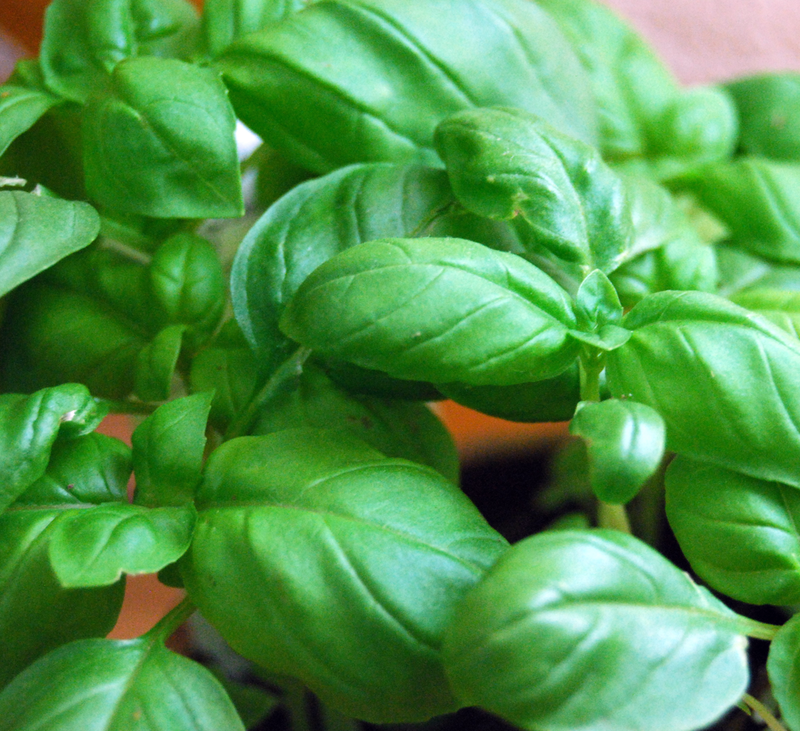 Our garden is heavy on basil these days, which is a good thing because we love pesto. I make it in big batches and freeze portions for the winter. We enjoyed garlic scape pesto over a vegan pizza last Shabbos. It would be even better with fresh Parmesan and mozzarella, if you’re making it dairy. Roll out the crust with a rolling pin on a floured surface until it’s about 1/2-in. thick. 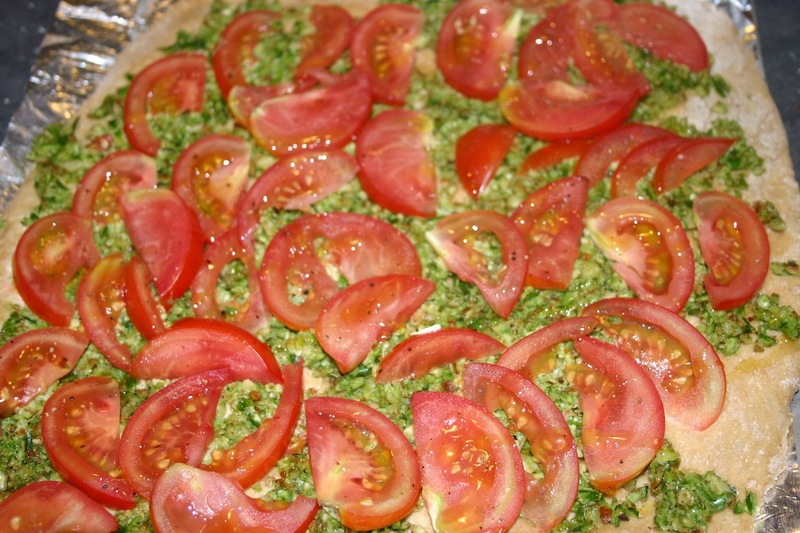 Cover the crust with pesto and then tightly pack a layer of tomatoes over it. Sprinkle salt and pepper on top and then drizzle olive oil across the tomatoes and bake for 20 minutes at 375 degrees. Slice when cold and serve warm. Mix the flour, gluten, salt and yeast in a food processor. While it’s running, slowly add the olive oil and the warm water. If the dough is not wet enough, add a little more water, a teaspoon at a time. If it’s too wet, remove it and knead in a little more flour. Place the dough in a well-oiled bowl and cover it with a wet towel. Keep it in a warm place (like your oven with just the light on) for at least an hour. Add all the ingredients to the food processor. The pesto will last in the fridge for at least a week, if you don’t gobble it up. You can also freeze it in an ice cube tray and then store the cubes in a freezer bag for months. What to do about our men?